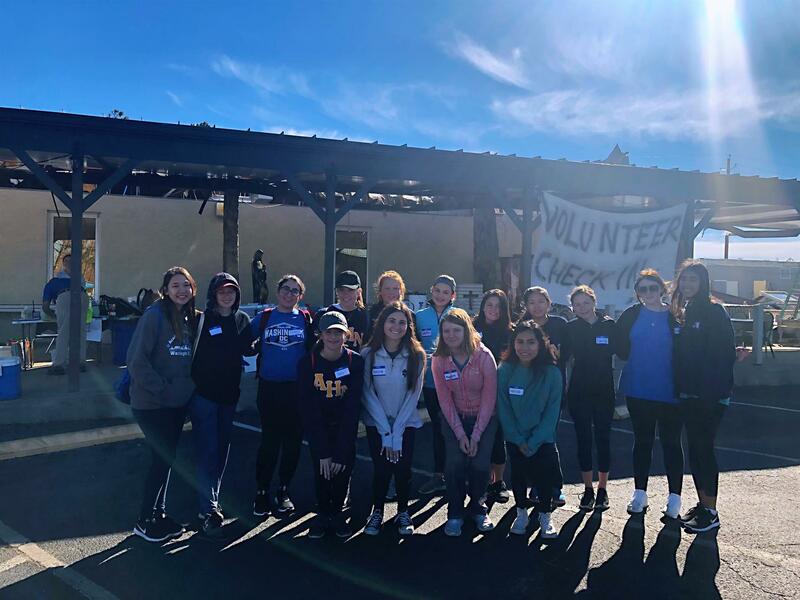 This past weekend I had the great privilege of traveling to the Florida Panhandle with Mrs. Nitchals, a group of faculty and staff and 15 students to deliver supplies and to work at the hurricane relief center at St. Dominic's Parish in Panama City. The devastation suffered by the people of that part of the state is truly incredible and the community will need support for many months and potentially years to come. To say I was proud of the way our students jumped in to help and how hard they worked for the two days is the greatest of understatements. They were tremendous representatives not only of the Academy but for all of Tampa as well. They truly made a difference in the short time we were there. The St. Dominic's story is quite the miracle in and of itself. The church is badly damaged, and the rectory destroyed. Mass is held in a beautiful grotto behind the church, which we attended on Saturday evening. It was quite a moving experience. To witness such strong faith in the midst of such devastation was inspiring. 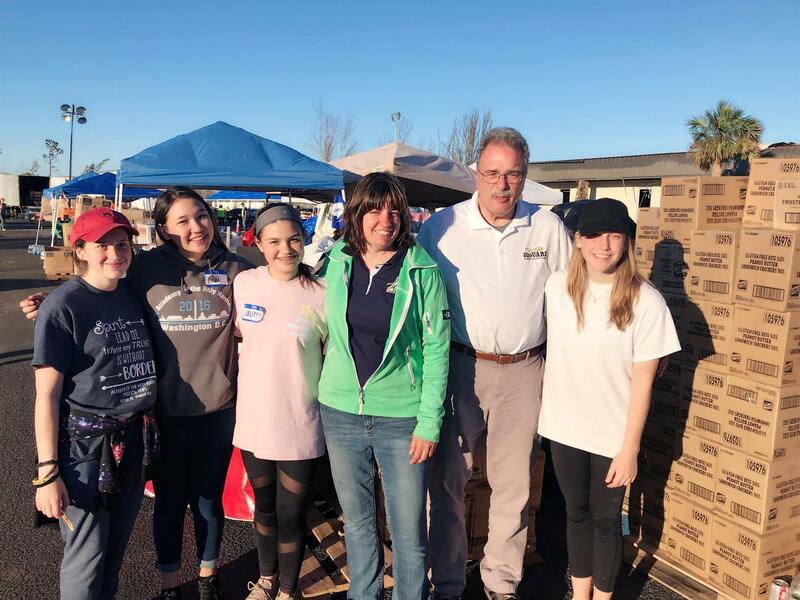 During the time we were there, hundreds of people received food and other necessities that had been collected by Catholic Charities and the parish staff. 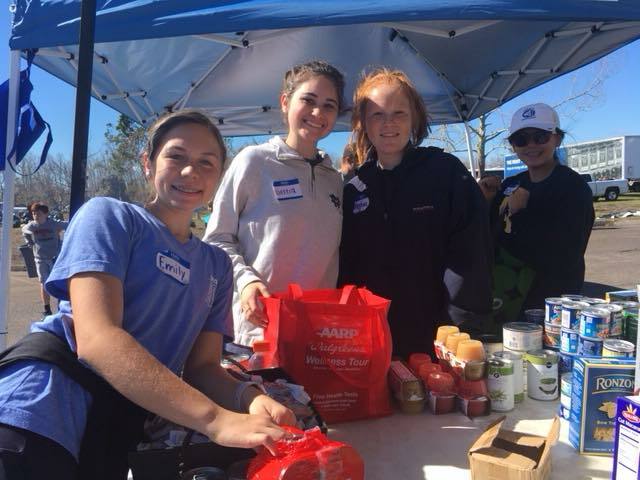 In addition, several thousand hot meals were served. It is an incredible operation, but the most amazing thing is that it was unplanned. It began with a donation of water to the parish and then it grew from there. The operation became so big that a member of the parish, a retired military man, was brought in to coordinate. Remember, the hurricane hit on October 10. In a few short weeks, they have a sophisticated distribution system underway. It's remarkable. It reminds me of the Gospel story of the miracle of the loaves and fish. There were 5,000 people listening to Jesus preach and at the end of the day they were hungry. The apostles gathered up a few loaves of bread and several fish and proceeded to feed the crowd. They even were able to collect the leftovers after everyone ate their fill. I don't believe Jesus performed a trick and magically multiplied the food so that everyone could eat. Through his words and actions he convinced those in the crowd who had food to share it with others. That, in my opinion, is the real miracle of the story. We witnessed that same miracle last weekend at St. Dominic's. A few cases of water have been transformed into food and other necessities that are helping thousands. Many of you contributed to this effort. We brought a truckload of supplies with us. All of those supplies are gone, given to families in desperate need. We will be travelling back to St. Dominic's in the future and we may ask you to contribute once again. I know that like the people on the mountainside in the Gospel story, we will have an abundance of supplies to share with our needy brothers and sisters. Reminder: High School Open House Is This Sunday! Registration Begins at 11:45 p.m. The primary responsibility of every school is to ensure a safe environment for students, staff and visitors. 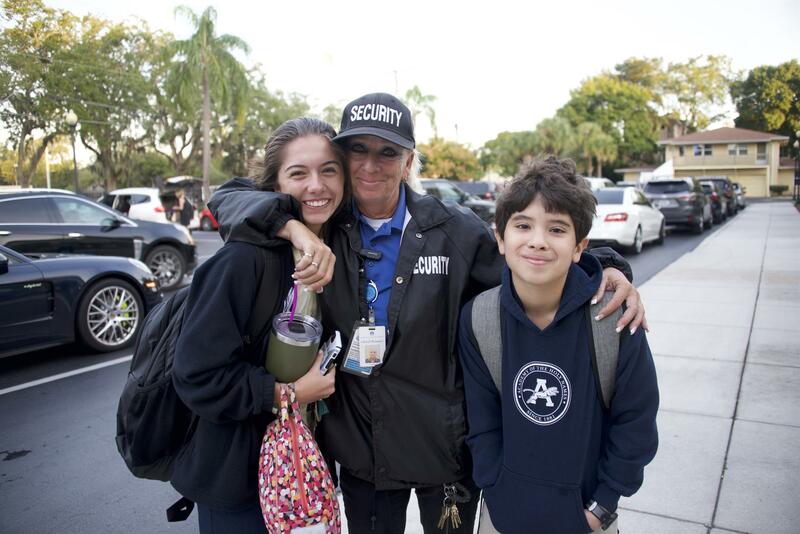 The Parent Annual Fund helps provide the resources for school safety, crisis management and emergency preparedness. Last year, Academy spent $165,000 to help develop the practical policies, protocols and tools needed if an issue should arise. Please consider supporting the PAF today at a level most comfortable for your family. No matter the size, your gift is an investment in our students and for that we are grateful. Tuesday, November 6th, is an Academy Spirit Event at any Pizza Hut location! Bring the attached flyer for carryout orders or use the code 1035 for online purchases. Flyers will also be handed out to students next week. All Elementary Students Are Permitted to Wear Their Esse Quam Videri T-Shirts with Uniform Bottoms on Fridays for the Remainder of the Year. 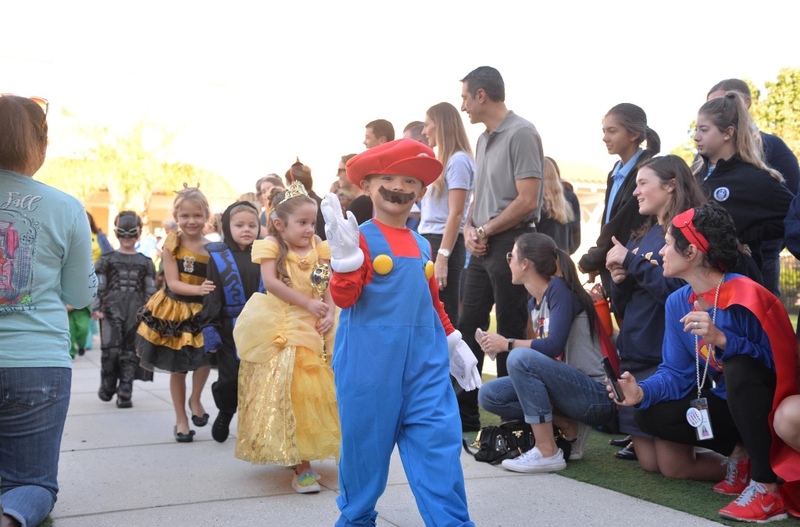 Halloween Around the Elementary School! 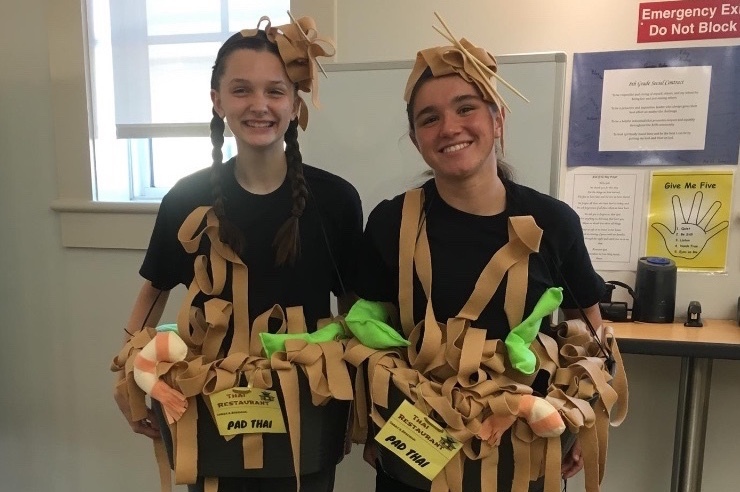 Our Elementary students came up with some clever costumes for the Halloween Parade and vocabulary word dress-up! Click here to see a video highlighting the day. Each quarter, the freshman teachers choose students for the Esse Quam Videri award. This award is given to the freshmen who most closely exemplify Academy's motto, Esse Quam Videri, which means "to be, rather than to seem." Congratulations to Chloe M., Grace O. and Laura Caroline J. for receiving the award this quarter! The HS Fall Athletic Banquet Is Monday, November 12th. Click Here for More Information. HS Tennis Informational Meeting On Thursday, November 8th at 3:30 p.m. in N204. 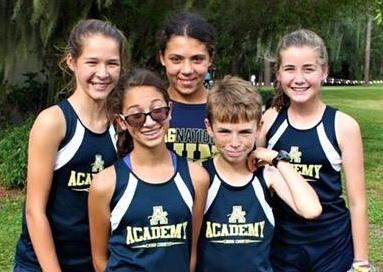 Congratulations to our middle school cross country team on qualifying for States this upcoming weekend! Andrew F. went undefeated during the regular season for the second year in a row and Hannah L. has qualified as an individual runner for the third year straight! Congratulations to the AHNRC on a fantastic performance at their Halloween Regatta. Charlotte C. A'19 and Claire S. A'19 finished first place in the Lightweight Double. The Jr. 8+ and Jr. Quad A boat placed fourth and our Novice 8+ placed fifth! 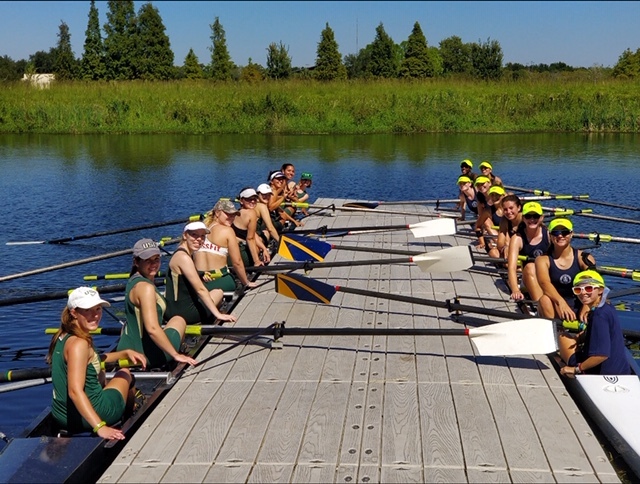 At the Head of the Pass/ Tampa Fall Classic Regatta, the Varsity 8 boat of Kara K. A'20, Adriana S. A'21, Jessica R. A'21, Brooke K. A'21, Renee R. A'20, Sofia M. A'20, Kailey M. A'21, and Asha S. A'21 took 1st place! Tonight the Advanced Acting Honors students will be performing "BAGS" by Anne V. McGravie at 7:00 p.m. On Friday, November 2nd, the Advanced Acting students will be performing "The Girl Who Was Asked to Turn Blue" by Ev Miller. On Saturday, November 3rd, there will be a double header featuring both shows. All shows start at 7:00 p.m. and are open seating. 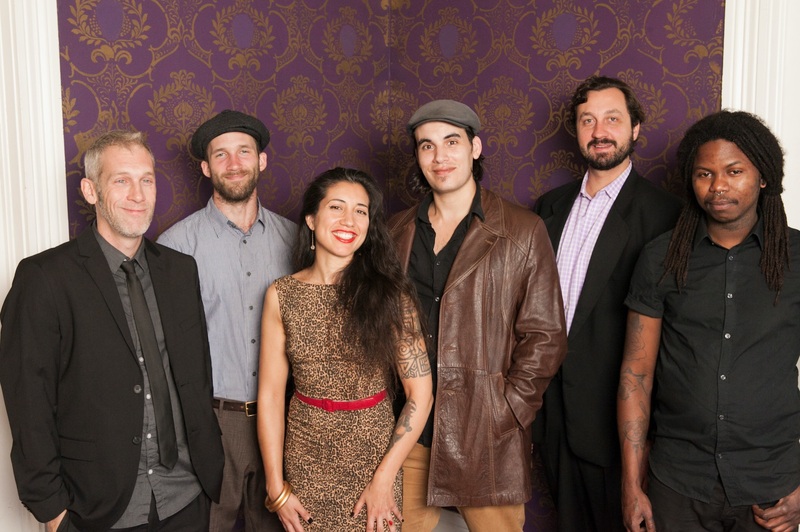 The Swinging Gypsies Come to AHN! -Prayer Service (PK-2nd), 8:00 a.m.
-Junior Parent Coffee, 8:00 a.m.
-Advanced Acting Presents"Bags" & "The Girl Who Asked to Turn Blue", 7:00 p.m.
-High School Open House, 12:00 p.m.
-HNAA Board Meeting, 6:00-8:00 p.m.
-Junior Parent Coffee, 4:00 p.m.